Today we introduce Most Popular Promotional Products for 2016 Summer. HotRef carries thousands of promotional products that can be customized with logo and used for company event. 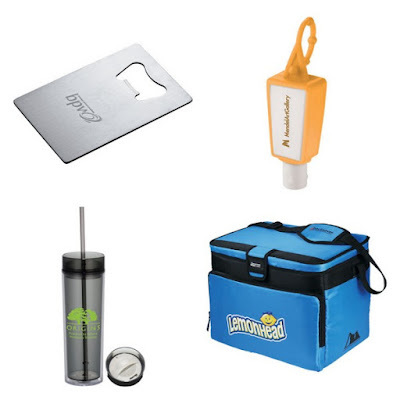 Recently, the most popular promotional items we sold are coolers, bottle openers, tumblers and sunscreens which can be used for any summer party. Find unique promotional products to recognize employees or thank your clients at HotRef! Combined with high density thermal insulation, this Arctic Zone® 30-Can Zipperless HardBody® Cooler is perfect for long days at the beach or the at a game. This cooler features a Zipperless™ main compartment with Velcro flap closure and can hold up to 30 cans in a removable plastic HardBody® liner. The Credit Card Size Bottle Opener is a wonderfully sleek gift as a tradeshow giveaway and at other business events. It comes in the shape of a credit card which can easily fit into your wallet and be conveniently later retrieved. This opener can be customized by laser etching or colorprint with the logo of your company. Hold your hot or cold beverage in style with the Hot and Cold skinny Tumbler 15 oz. Each double wall acrylic tumbler features a cold push-on lid and a hot push-on twist lid, you are free to choose as your wish. Great promotional product for any summer party. This custom Oasis 1 -oz. Sunscreen makes for a perfect giveaway in summer promotion. SPF 30 sunscreen comes in squeezable bottle. Get your brand advertised with color printing. Great promotional products in trade show, health and beauty. Find unique promotional products to recognize employees or thank your clients at this 2016 summer!